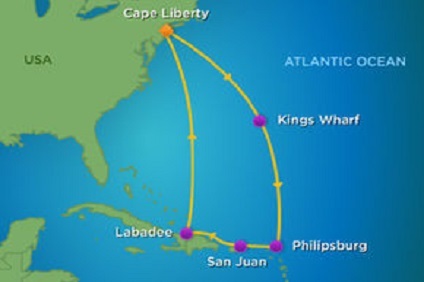 5 Night Cruise sailing from Cape Liberty roundtrip aboard Anthem of the Seas. 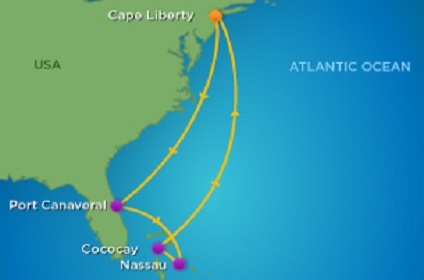 9 Night Cruise sailing from Cape Liberty roundtrip aboard Anthem of the Seas. 7 Night Bahamas Cruise departing roundtrip from Cape Liberty onboard Anthem of the Seas. 8 Night Bahamas Cruise departing roundtrip from Cape Liberty onboard Anthem of the Seas. 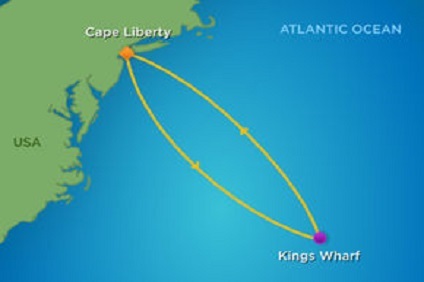 12 Night cruise departing roundtrip from Cape Liberty onboard Anthem of the Seas. 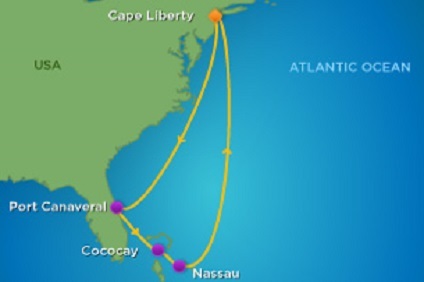 11 Night cruise departing roundtrip from Cape Liberty onboard Anthem of the Seas. 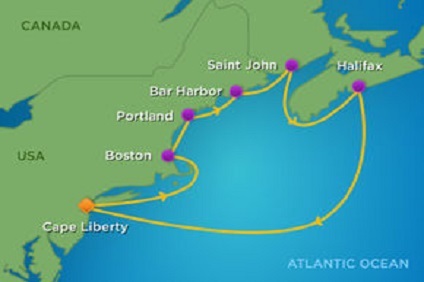 12 Night Cruise sailing from Cape Liberty to Southampton aboard Anthem of the Seas. 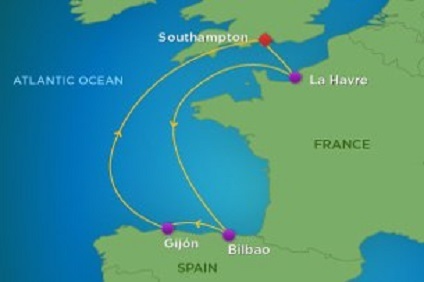 8 Night Cruise sailing from Southampton roundtrip aboard Anthem of the Seas. 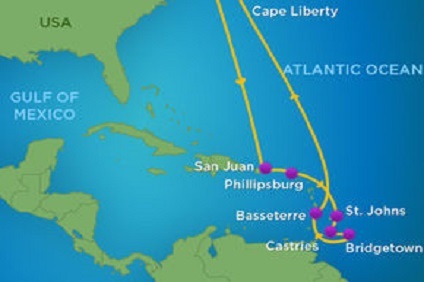 6 Night Cruise sailing from Southampton roundtrip aboard Anthem of the Seas. 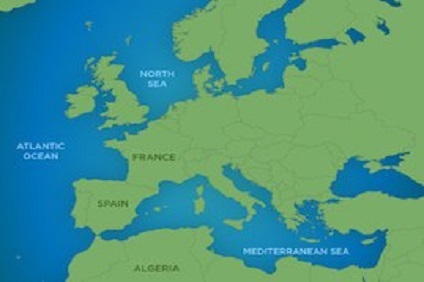 14 Night Mediterranean cruise departing roundtrip from Southampton onboard Anthem of the Seas. One bedroom, two bathrooms, sleeps up to 6. Two-deck-high stateroom with panoramic views. On main level, open living/dining room with dry bar and sofa that converts to double bed. Separate media room with sofa that converts to queen-sized bed and full bathroom with shower. Large private balcony with whirlpool and dining area. Master bedroom on second level has two twin beds that convert to a Royal King bed and a private bathroom with a soaking bath, shower, two sinks and bidet, plus private balcony with dual whirlpool bath. Separate dressing area. (152 sq. m. (1,640 sq. ft.), main level balcony 39 sq. m. (415 sq. ft.), main level side balcony 10 sq. m. (109 sq. ft.); upper level side balcony 8 sq. m. (89 sq. ft.)) A Royal King bed measures 184 cm (72.5 inches) wide by 208 cm (82 inches) long. One bedroom, two bathrooms, sleeps up to 4. Two-deck-high stateroom with panoramic views. On main level, open living/dining room with sofa that converts to double bed. Split bathroom set-up with shower and sink in one bath, toilet and sink in the other. Private balcony with dining area. On second level, master bedroom with two twin beds that convert to a Royal King bed, private bathroom with shower and sink, and private balcony. (91 sq. m. (975 sq. ft.), main level balcony 28 sq. m. (303 sq. ft.), main level side balcony 10 sq. m. (109 sq. ft.); upper level side balcony 8 sq. m. (89 sq. ft.)) A Royal King bed measures 184 cm (72.5 inches) wide by 208 cm (82 inches) long. One bedroom, two bathrooms, sleeps up to 4. Two-deck-high stateroom with panoramic views. On main level, open living/dining room with sofa that converts to double bed. Full bathroom with shower. Private balcony with dining area. On second level, master bedroom with two twin beds that convert to a Royal King bed and a private bathroom with shower and sink. Deck 8: (74 sq. m. (795 sq. ft.), balcony 20 sq. m. (216 sq. ft.)) Deck 10: (Staterooms 10320 and 10720: 65 sq. m. (696 sq. ft.), main balcony 22 sq. m. (236 sq. ft.), main side balcony 7 sq. m. (72 sq. ft.); upper side balcony 5 sq. m. (53 sq. ft.); Staterooms 10324 and 10724: 78 sq. m. (840 sq. ft.), balcony 20 sq. m. (216 sq. ft.)) A Royal King bed measures 184 cm (72.5 inches) wide by 208 cm (82 inches) long. One bedroom, two bathrooms, sleeps up to 4. Two-deck-high stateroom with panoramic views. On main level, open living/dining room with sofa that converts to double bed. Full bathroom with shower. Private balcony with dining area. On second level, master bedroom with two twin beds that convert to a Royal King bed and a private bathroom with shower and sink. Deck 8: (69 sq. m. (740 sq. ft.), balcony 17 sq. m. (183 sq. ft.)) Deck 10: (63 sq. m. (673 sq. ft.), balcony 17 sq. m. (183 sq. ft.)) A Royal King bed measures 184 cm (72.5 inches) wide by 208 cm (82 inches) long. Bedroom area with two twin beds that convert to a Royal King bed. Full bathroom with bath and two sinks. Separate half bathroom. Marble entry, large wardrobes, living area with dining table and sofa that converts to a double bed. Wrap around private balcony with seating area and private outdoor dining. Sleeps up to 4. (50 sq. m. (541 sq. ft.), balcony 24 sq. m. (259 sq. ft.)) A Royal King bed measures 184 cm (72.5 inches) wide by 208 cm (82 inches) long. Two bedrooms, two bathrooms, sleeps up to 8. Master bedroom with two twin beds that convert to a Royal King bed, private bathroom with bath and separate dressing area. Second bedroom with two twin beds that convert to a Royal King bed and two Pullman beds. Full second bathroom with shower. Living area with sofa that converts to a double bed, marble entry and entertainment centre. Wrap around private balcony with seating area and private outdoor dining. (50 sq. m. (543 sq. ft.), balcony 24 sq. m. (259 sq. ft.)) A Royal King bed measures 184 cm (72.5 inches) wide by 208 cm (82 inches) long. Bedroom area with two twin beds that convert to a Royal King bed, and separate dressing area with entrance to bathroom. Full bathroom with bath, two sinks and second entrance that opens to living room. Living room with sofa that converts to a double bed, entertainment centre and writing desk. Wrap around private balcony with seating area and private dining. Sleeps up to 4. (33 sq. m. (351 sq. ft.), balcony 24 sq. m. (259 sq. ft.)) A Royal King bed measures 184 cm (72.5 inches) wide by 208 cm (82 inches) long. Bedroom area with two twin beds that convert to a Royal King bed, and separate dressing area with entrance to bathroom. Full bathroom with bath, two sinks and second entrance that opens to living room. Living room with sofa that converts to a double bed, entertainment centre and writing desk. Private balcony with seating area and private dining. Sleeps up to 4. (33 sq. m. (351 sq. ft.), balcony 10 sq. m. (109 sq. ft.)) A Royal King bed measures 184 cm (72.5 inches) wide by 208 cm (82 inches) long. Bedroom area with two twin beds that convert to a Royal King bed. Full bathroom with bath. Separate half bathroom. Sitting area with sofa that converts to a double bed. Private balcony. Sleeps up to 4 or 5. (28 sq. m. (301 sq. ft.), balcony 8 sq. m. (81 sq. ft.)) A Royal King bed measures 184 cm (72.5 inches) wide by 208 cm (82 inches) long. Bedroom area with two twin beds that convert to a Royal King bed. Full bathroom with bath. Sitting area with sofa that converts to a double bed. Large corner private balcony. Semi-private vestibule can be used to connect adjacent Studio Interior Stateroom and Ocean View Balcony Stateroom. Sleeps up to 4. (26 sq. m. (276 sq. ft.), balcony 15 sq. m. (161 sq. ft.)) A Royal King bed measures 184 cm (72.5 inches) wide by 208 cm (82 inches) long. Bedroom area with two twin beds that convert to a Royal King bed. Large, spa-inspired split bath with soaking bath, and large separate shower. Shower has frosted glass wall that allows natural light from living area. Toilet and second sink in separate half bathroom. Sitting area with corner settee. Private balcony. Sleeps up to 2. (25 sq. m. (267 sq. ft.), balcony 8 sq. m. (81 sq. ft.)) A Royal King bed measures 184 cm (72.5 inches) wide by 208 cm (82 inches) long. Two twin beds that convert to a Royal King bed, sitting area with sofa, full bathroom and private balcony. (5 sq. 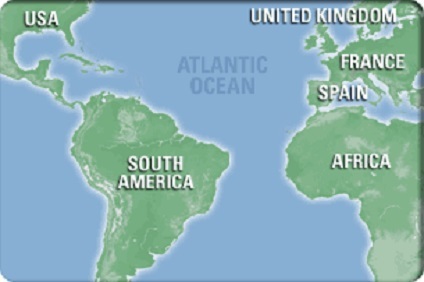 m. to 11 sq. m. (55 sq. ft. to 119 sq. ft.)) A Royal King bed measures 184 cm (72.5 inches) wide by 208 cm (82 inches) long. Two twin beds that convert to a Royal King bed, sitting area with sofa, full bathroom and private balcony. (18 sq. m. (198 sq. ft.), balcony 5 sq. m. (55 sq. ft.)) A Royal King bed measures 184 cm (72.5 inches) wide by 208 cm (82 inches) long. Two twin beds that convert to a Royal King bed, sitting area with sofa, full bathroom and private balcony. (16 sq. m. (177 sq. ft.), balcony 8 sq. m. (82 sq. ft.)) A Royal King bed measures 184 cm (72.5 inches) wide by 208 cm (82 inches) long. Two twin beds that convert to a Royal King bed, full bathroom and sitting area with sofa. Alcove with large forward-view panoramic window with seat and lounge chair. (28 sq. m (302 sq. ft.)) A Royal King bed measures 184 cm (72.5 inches) wide by 208 cm (82 inches) long. Two twin beds that convert to a Royal King bed, full bathroom, plus sitting area with sofa, window seat and armchair. (20 sq. m. (214 sq. ft.)) A Royal King bed measures 184 cm (72.5 inches) wide by 208 cm (82 inches) long. Two twin beds that convert to a Royal King bed, sitting area with sofa and full bathroom. (17 sq. m. (182 sq. ft.)) A Royal King bed measures 184 cm (72.5 inches) wide by 208 cm (82 inches) long. Two twin beds that convert to a Royal King bed, sitting area with sofa and full bathroom. (17 sq. m. (182 sq. ft.) A Royal King bed measures 184 cm (72.5 inches) wide by 208 cm (82 inches) long. Large Interior Stateroom with a Virtual Balcony, a high-definition screen that spans almost from floor to ceiling, providing real-time views of the ocean and destinations. Bedroom area with two twin beds that convert to Royal King, sitting area with sofa and full bathroom. (16.5 sq. m. to 17.3 sq.m (178 sq. ft. to 187 sq. ft.) A Royal King bed measures 184 cm (72.5 inches) wide by 208 cm (82 inches) long. Large Interior Stateroom with a Virtual Balcony, a high-definition screen that spans almost from floor to ceiling, providing real-time views of the ocean and destinations. Bedroom area with two twin beds that convert to Royal King, sitting area with sofa and full bathroom. (16.5 sq. m. to 17.3 sq.m (178 sq. ft. to 187 sq. ft.)) A Royal King bed measures 184 cm (72.5 inches) wide by 208 cm (82 inches) long. One bedroom, two bathrooms, sleeps up to 6. Two-decks-high stateroom with panoramic views. On main level, open living/dining room with dry bar and sofa that converts to double bed. Separate media room with sofa that converts to queen bed, second bedroom with closet and two twin beds that convert to Royal King and full bathroom with shower. Large private balcony with dining area. Master bedroom on second level has a King size bed with Duxiana Mattress and a private bathroom with soaking tub, shower, two sinks and bidet. Private balcony with dual whirlpool tub. Separate dressing area. Stateroom: 1,640 sq. ft. 3 Balconies: Main level 415 sq. ft., side balcony 109 sq. ft., upper level side balcony 89 sq. ft. Bedroom area with two twin beds that convert to Royal King, Bedroom area with two twin beds that convert to Royal King. Full bathroom with tub and two sinks. Separate half bath. Marble entry, large closets, living area with dining table and sofa that converts to double bed. Private balcony with seating area and private outdoor dining. Sleeps up to 4. Stateroom: 541 sq. ft. Balcony: 259 sq. ft. Bedroom area with two twin beds that convert to Royal King. Full bathroom with tub. Sitting area with sofa that converts to double bed. Private balcony. Semi-private vestibule can be used to connect adjacent Studio Interior Stateroom and Ocean View Balcony Stateroom. Sleeps up to 4. Stateroom: 267 sq. ft. Balcony: 81 sq. ft.
Stateroom Features This category is inclusive of our Royal Suite Class program. For details, click here. All staterooms and suites come complete with private bathroom, vanity area, hair-dryer, closed-circuit TV, radio and phone. WS - Guarantee Bedroom area with two twin beds that convert to Royal King. Full bathroom with tub. Sitting area with sofa that converts to double bed. Private balcony. Semi-private vestibule can be used to connect adjacent Studio Interior Stateroom and Ocean View Balcony Stateroom. Sleeps up to 4. Stateroom: 267 sq. ft. Balcony: 81 sq. ft.
Stateroom Features All staterooms and suites come complete with private bathroom, vanity area, hair-dryer, closed-circuit TV, radio and phone. XB - Guarantee Two twin beds that convert to Royal King, sitting area with sofa, full bathroom and private balcony. Stateroom: 198 sq. ft. Balcony: 55 sq. ft.
Stateroom Features All staterooms and suites come complete with private bathroom, vanity area, hair-dryer, closed-circuit TV, radio and phone. YO - Guarantee Two twin beds that convert to Royal King, sitting area with sofa, and full bathroom. Stateroom: 182 sq. ft.
Stateroom Features All staterooms and suites come complete with private bathroom, vanity area, hair-dryer, closed-circuit TV, radio and phone. ZI - Guarantee High-definition screen that spans nearly floor to ceiling, providing real-time views of the ocean and destinations. Bedroom area with two twin beds that convert to Royal King, sitting area with sofa, and full bathroom. Stateroom: 166 sq. ft.